Since we tried Garnier Clean + Purifying Foam Cleanser and liked it, we wanted to try the cleanser for dry skin – Garnier Clean+ Smoothing Cream Cleanser. Fortunately, our tester with dry skin liked this cleanser as much as our tester with combination skin liked the Purifying Foam Cleanser. 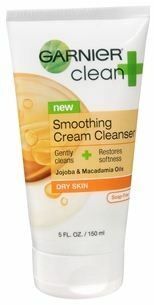 The Smoothing Cream Cleanser is great for dry skin since it has jojoba and macadamia oils. As you may already know, oil doesn’t always mean pore clogging. Including oil in this cleanser was ingenious because the oils dissolve your makeup. Those of you with dry skin know that cleansers for dry skin are typically gentle, and unfortunately gentle on makeup removal. You’ll like how it feels to get a thorough cleansing without stripping your skin. After washing dry skin, you have to reach immediately for moisturizer before your skin starts feeling tight. Smoothing Cream Cleanser gives you more time and leaves your skin feeling comfortable. Also, when you use water you’ll get a good lather, which is pretty unique for a creamy cleanser. The scent of this product (like all Garnier products) is refreshing, but we wonder if it may be too heavily fragranced for sensitive skin. Tip: If you have dry skin, you know how important it is to drink enough water. But you can take it a step further and eat foods that are good for your skin as well. Try stocking up on salmon and avocado. Both are helpful to skin lipid layers! 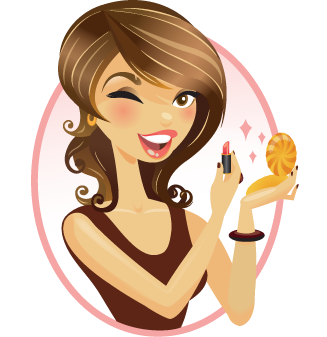 Combination skin is a weird thing to have – if you buy products for oily skin it will dry out face, but moisturizing products don’t take care of excess oil. We tried the Garnier Clean + Purifying Foam Cleanser, which is for combination skin, to see if it really did strike the balance. Instead of salicylic acid (which can be too harsh for everyday use for many), this cleanser uses foaming action to lift the oil and dirt out of your skin. The bottle itself is unique, instead of pumping the cleanser, you just squeeze the bottle to get the foam in your hand. You may think it’s annoying to use if you shake it as you’ll just get a little bit of liquid. The key with this is to just pick it up and squeeze with the bottle upright. It would be helpful if Garnier had made it clearer on the packaging. It’s one of those things that you’ll hate until you get the hang of it, and then you’ll think the packaging is ingenious. 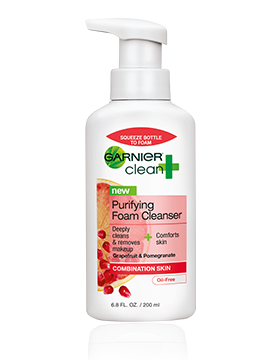 Garnier Clean + Purfiying Foam Cleanser also has antioxidants, Grapefruit, and Pomegranate to nourish your skin. The cleanser is great for softening your skin. With long term use, we found it to be a little drying, but combination cleansers always err on one side. If your skin tends to be a little more dry, we would suggest using this cleanser in the morning only and using a very mild cleanser at night. 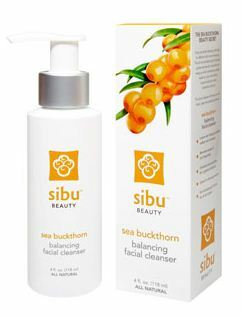 We also found Clean + Purifying Cleanser to be non-irritating, so those with sensitive skin will probably like it too. 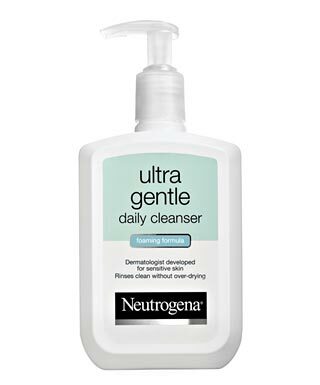 There are many cleansers designed for sensitive skin that claim they thoroughly remove dirt and makeup, but after seeing a lot of magazine mentions for Neutrogena’s Ultra Gently Daily Cleanser we had to try it. This is one of the best cleansers we’ve tested. It’s very thorough and strikes the balance between cleansing and leaving moisture behind. We think Neutrogena Ultra Gentle Daily Cleanser would be appropriate for any skin type. It’s a gel like cleanser that lathers well. 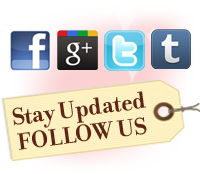 After a week or so you see a difference – skin is calmer and healthier. And at 12 fluid oz, there’s a very generous amount to use so we love the value. 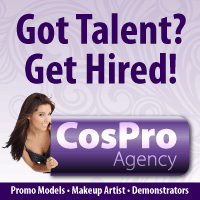 Tip: Using a lot of products with active ingredients can be irritating. If you’re using a topical acne treatment for example, it can be too much to use an acne fighting cleanser and moisturizer as well. Trying pairing this cleanser with your stronger products to give your skin a break. We tried Olay’s Total Effects 7 Wet Cloths Cleanser since it promised to not only remove makeup, but also fight 7 signs of aging. Like Olay 2-in-1 Daily Facial Cloths, we thought that these cloths worked wonderfully to remove makeup, but it does sting if you get the cleanser in your eyes. We thought that these cloths were great for our skin’s texture as well.